A dream written down with a date becomes a goal. A goal broken down into steps becomes a plan. A plan backed by action makes your dreams come true. The best way to predict the future is to create it. Step into living more vibrantly, with more energy and enthusiasm! 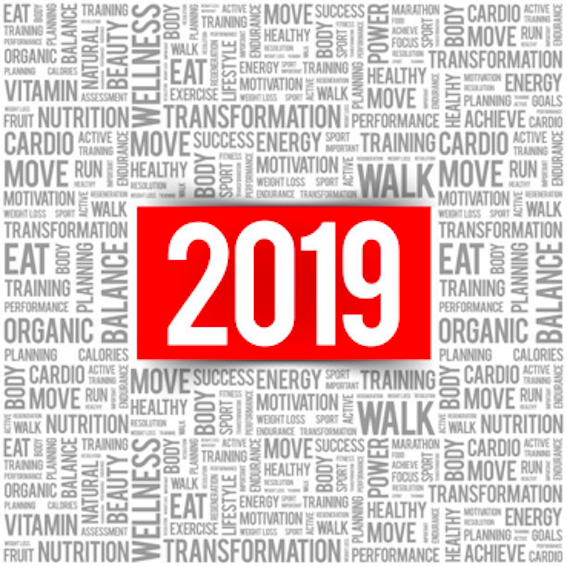 Take conscious steps to ENERGIZE, REVITALIZE, and RE-INSPIRE your life this 2019 and beyond. What new personal wellness goals are you focusing on achieving now? • Deep restorative sleep? • Endocrine support and balance? • Cleaning and feeding your body? • Robust immunity? • Strength, stamina, energy and endurance cultivation? • Greater mobility and flexibility? • Fertility and libido? • Digestive and elimination care? • Metabolism and ideal body weight? • Emotional balance? • Relaxation? • Restore ideal nerve, blood and body fluid circulation? • Pain elimination? • Proactive maintenance wellness care? • Other goals? Instead of suppressing symptoms, get natural solutions that treat the root cause of pain, poor mobility, tension, allergies, indigestion, insomnia, infertility, fatigue, anxiety, poor metabolism, depression and more. An acupuncture treatment fee of $85 applies for treatment following this free initial 60 minute acupuncture assessment. This relocation is home of The Chiro Clinic. The Chiro Clinic offers quality chiropractic care, massage therapy, laser therapy, and other services to reinforce your optimum health and vitality. 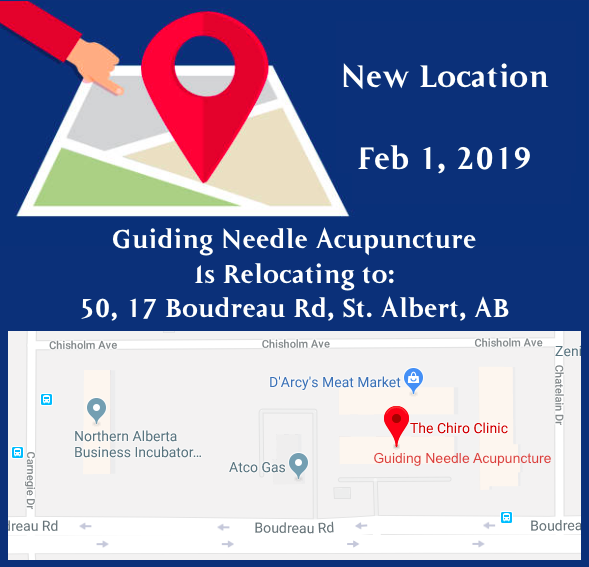 Effective February 1, 2019 Guiding Needle Acupuncture will be providing more treatment rooms and scheduling options to better serve you, your family and friends. Guiding Needle Acupuncture remains committed to providing you with the most advanced acupuncture and Oriental medicine methods; to help restore and maintain optimum wellness as quickly and as economical as possible. 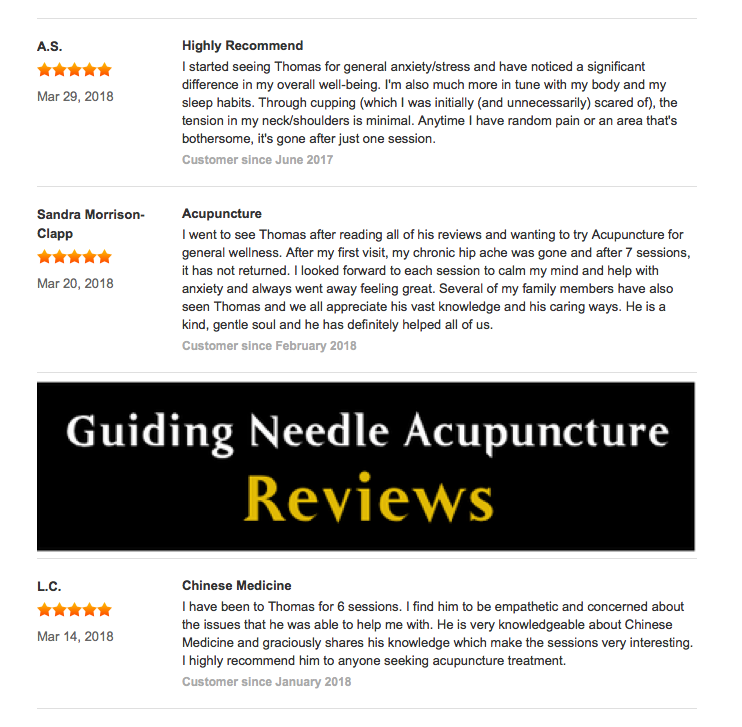 Thank you for choosing Guiding Needle Acupuncture as your provider of quality traditional Chinese medicine. I hope I can be of great service to you, your family and friends now and for future years to come. 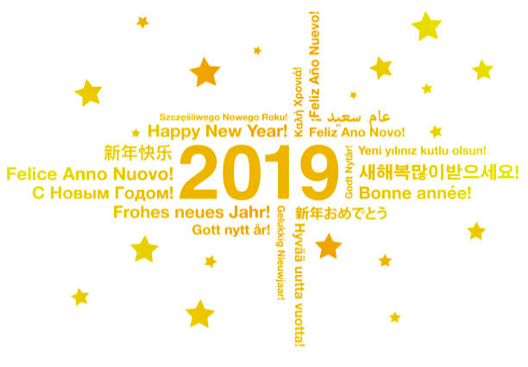 Happy New Year, may the blessings be.